A teenager needs a triple organ transplant after a rare condition left her with the lungs and heart of a ‘pensioner’. 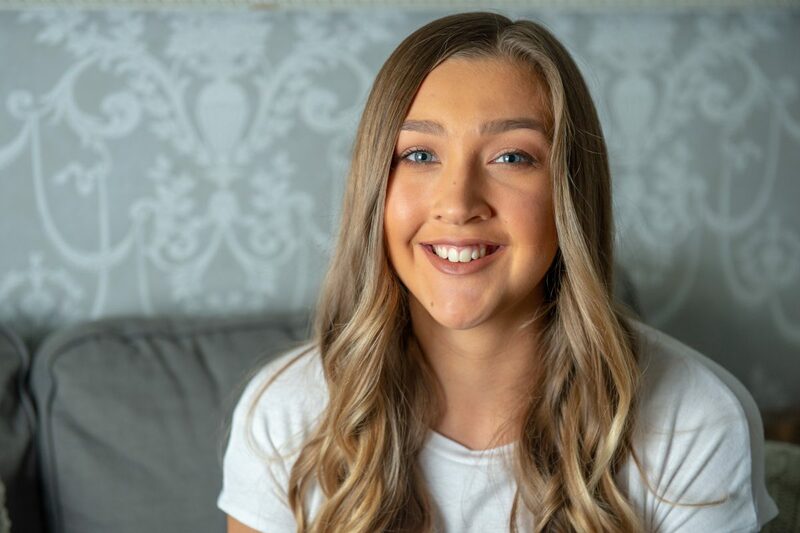 Yasmin Swift, 19, found out she was suffering from idiopathic pulmonary arterial hypertension last year, and now needs a life-saving double lung and heart transplant. The illness affects around 7,000 people in the UK at varying levels of severity, by causing high blood pressure in the blood vessels connecting the heart and lungs, making them seem as if they belong to an elderly person. Doctors were initially stumped when it came to a diagnosis, as outwardly-healthy Yasmin was struggling to breathe after climbing a flight of stairs and was experiencing chest pain. The teen, from Ashford, Kent, said: “It was about a year ago that I started getting really unwell and I started feeling really short of breath, literally just going up a flight of stairs. “I had to stop. I felt really tired all the time. “I started feeling quite faint as well and I would get chest pains. “My legs started really swelling up but I kept getting sent away from the doctors. The trainee hairdresser says she misses clubbing and going to festivals with her friends and often has to stay at home feeling exhausted and short of breath. She is already on the strongest medication doctors can give for the condition, which are delivered by an IV and pump that she keeps on her 24-hours a day. Yasmin, who was a cheerleader at high school, said: “They put me on medication that was strongest for me but it didn’t do much. “The drip doesn’t make much of a difference either. Yasmin recently hit headlines when she posted on Facebook about a rude note that was left on her windscreen when she parked in a disabled bay in July. The note, which claimed she was ‘not disabled’ threatened to alert the authorities despite her displaying her blue badge in the car while she was at a pub with a friend. She said: “It makes you angry that people judge you on your appearance and don’t know what you go through on a day-to-day basis to get to that point where you can go out and enjoy yourself. 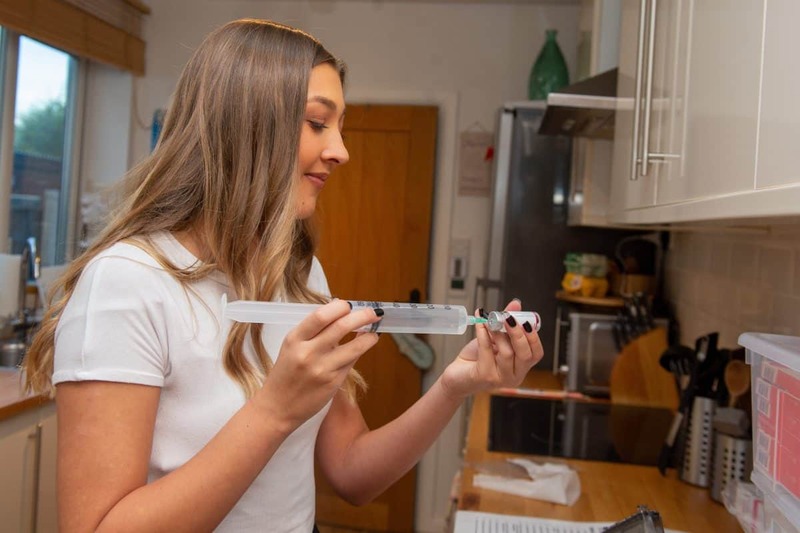 Although the 19-year-old looks just like any other girl, her life has completely changed following her diagnosis because of the tiredness and shortness of breath she suffers from. Yasmin said: “I used to love going to the gym, I used to go about five times a week. “And I used to love dancing too and going to festivals. I would be out every weekend but I have had to stop that massively. “I’m with my friends for takeaway nights and if there’s a birthday I would be there, I don’t want to miss out on things like that. “But the going out clubbing every weekend, I do miss it. I was always the one there having the most fun time because I love dancing. “I did go to a festival this year but it was in a very different way. I had disabled access and it was tiring. She added that treats such as holidays are also more difficult now as she struggles to breathe in the heat. Yasmin has now created an Instagram page which she says came about because she gets so many questions about her condition from friends and acquaintances. She hopes to raise awareness of the rare condition by speaking out about her experiences. Her family and friends have also been raising money for Pulminary Hypertension Association UK – which has been supporting her since her first diagnosis in November last year. The next step for Yasmin is to undergo a double lung and potentially a heart transplant. She added: “I’m on the strongest medication they have at the moment, the next thing will be the lung transplant and maybe a heart transplant. “But you never know what might happen.